Muscovite (mica) cluster in a facetted aquamarine from Brazil. Transmitted plus polarized illumination. Area photographed approximately 2.00 x 2.00 mm. 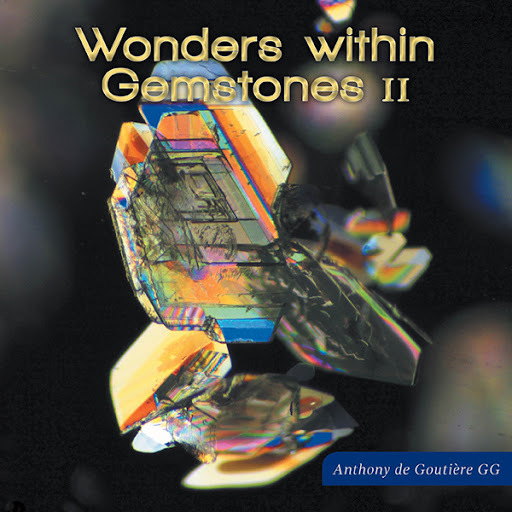 This second book from Anthony de Goutière, AKA Tony, is not only a reference source for students of gemmology and graduate gemmologists but a unique opportunity for all to understand this fascinating branch of gemmology that’s both an art and a science. 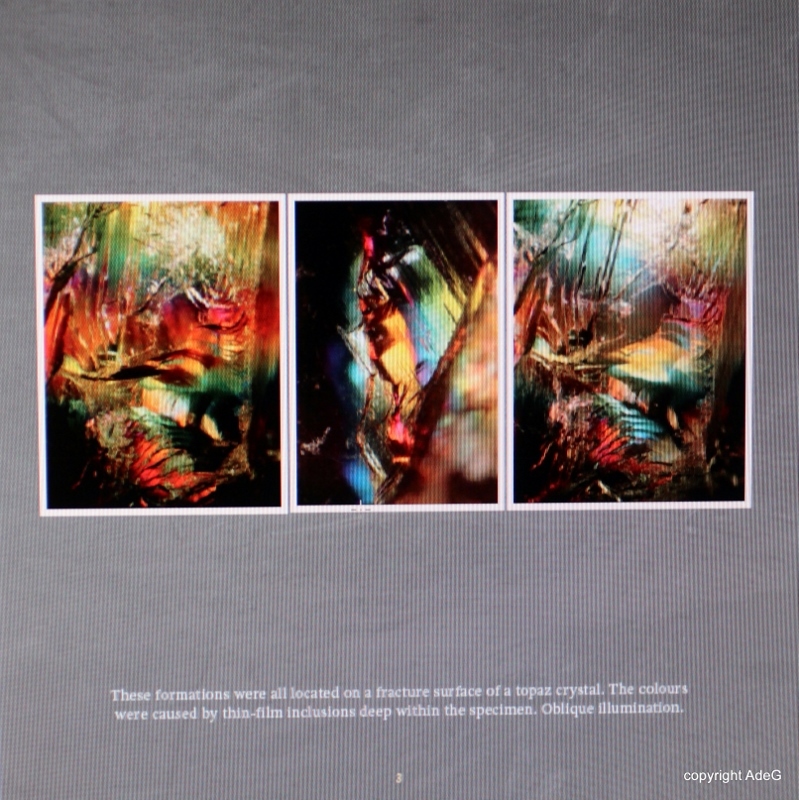 With the use of various lighting techniques and careful composition, unusual and artistic photomicrographs, taken from gemstones, have been captured and reproduced for all to enjoy. Tony hopes to inspire other gemmologists to attach cameras to their microscopes and join the ranks of inclusionists around the world. It’s a truly fascinating and rewarding method of recording microscopic wonders within gemstones. To purchase a copy of the book, please visit: the bookstore at FriesenPress Publishers. Amazon.com, Amazon UK or Google e-books. Or purchase books directly from Tony by emailing him at the contact address shown below. If you want a book, personally signed and message included, please get in touch. Cdn$25.00 will buy you the book including mailing it anywhere in Canada or North America. For elsewhere in the world, email me please: inclusions@shaw.ca. Sidney, near Victoria, BC, Canada.